Looking for a cheap city bike? At £380 the Reid Blacktop isn't going to break the bank, and it isn't going to break itself either: it's a well-built and easy-to-ride city bike with durable components and an engaging ride. I like it. The Blacktop has an aluminium alloy frame and fork; there's some confusion on Reid's website as to whether it's 6061 or 7005 alloy, not that I'd be able to tell the difference. The welds are smoothed and the bike is finished in a matt/gloss black paintjob that's very understated and urban. There are a few chips in the paint now but generally it's holding up very well. The alloy fork is painted to match. To that frame is attached some very sensible and durable city kit. The transmission is a Shimano Nexus 3-speed hub with a grip shifter and a Prowheel 44T chainset. With the 20T sprocket on the hub that gives you 43in, 60in and 81in gears (approximately). That's a nice spread for getting yourself up the hills and still being able to push on along the flats. If you live somewhere very hilly then you might find it a touch overgeared, but a chainring swap won't cost you much if it's a real problem. Obviously the 3-speed hub doesn't have either the gear range or the close ratios of a derailleur system, but it's simple, cheap and durable. The Blacktop uses a zinc-galvanised anti-rust chain that doesn't need much taking care of. There's no chaincase, but you could fit one easily if you wanted. The Nexus hub is built onto an Alex DC-19 rim, with a Quando hub at the front. At 530g the rims are solid without being over-heavy, and they're well built with plain gauge black spokes. It's not the most exciting wheel build ever, but the wheels arrived true and stayed that way. They're shod with 35mm Continental Sport Contact tyres that roll well on the road and have plenty of chamber if you want to venture onto rougher surfaces; the file tread is good for fire roads and towpaths. Promax V-brakes take care of the stopping. They do the job just fine, although experience suggests they'll probably be due for a switch a few years down the line as the plastic parts in the spring mechanism aren't that robust. The alloy levers will last for ever, though. Finishing kit is all alloy, as you'd expect, and you get semi-ergo grips and a decent saddle with a fairly sleek shape and plenty of padding. It's a fun bike to ride, the Reid. At 11.7kg it's hardly a lightweight but it's still good to punch away from the lights and the steering is on the lively side of neutral, which makes it good for flicking through traffic. It's not twitchy, though, and 40mph descents don't require any more than the usual amount of care. The frame and fork are stiff, and the wheels are solidly built too. That's mitigated by the 35mm tyres and the decent saddle and grips, and the overall package is a bike that feels firm without being uncomfortable. If you stuck 23mm race tyres on this bike you might find it a bit of a boneshaker, but as it comes it's good for purposeful progress without getting beaten up. The tyres give good levels of grip; the carcass isn't the most supple so they benefit from having plenty of air in. I ran them at 70psi most of the time; you can drop below that if you're riding on mixed surfaces and comfort is definitely improved, but at lower pressures on the road you do feel them start to drag. 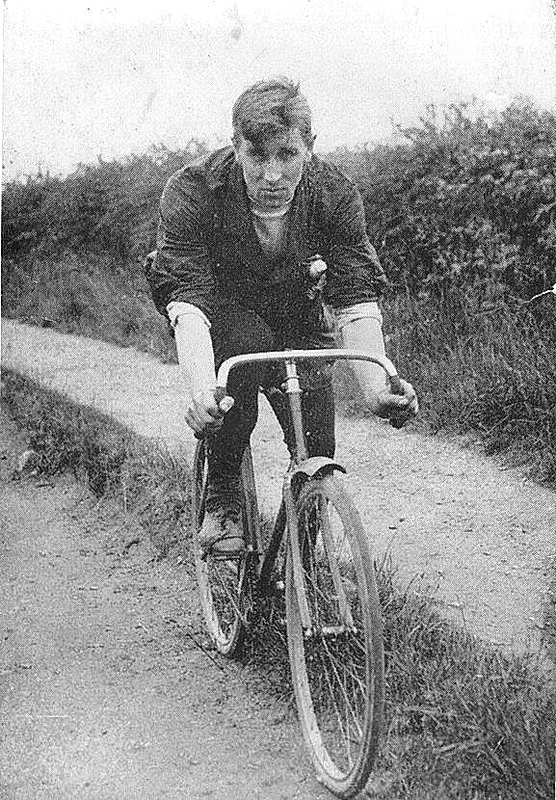 Point yourself uphill for any length of time and the weight of the bike begins to tell a bit. It's not too bad on shorter rises where you can get out of the saddle and give it a bit of oomph to get over the top, but long draggy climbs aren't so great; it's just a case of knocking the bike down to first gear and making your way up at whatever pace you can. If you like to spin the pedals fast and you have plenty of hills to do, you might find the gear range restricting. I found that I tended to do longer climbs out of the saddle as the cadence was more suited to that. I didn't find anything that I couldn't get up on the Reid, although there were certainly times I would have liked another gear. Bath is hilly – if you live somewhere less bumpy the gear range will be dandy. The position of the bike is just right: not too racy, but not too sat up either. It fits the nature of the bike: the Blacktop is a bike that likes to be thrown about a bit. You can cruise about on it at no great speed, but it's more fun if you're putting a bit more effort in. There are frame mounts for a rack and mudguards. Those things aren't included but you could fully citify (is that a word?) the Reid and make it into an all-weather, four-season commuter. For £60 you could get rack, mudguards, chain case and a kickstand, and you're still only looking at £450 for the whole caboodle. If you were buying it on a cycle-to-work scheme you'd only be paying about £25 a month, for 12 months, for a bike that would last you years. That seems like a pretty good investment. Overall, the Reid Blacktop is a likeable bike. It has a sensible city spec and although it doesn't come equipped for load carrying in all weathers it's easy to add the bits you need. The £380 asking price looks like very good value, and the bike is enjoyable to ride around town. If you're after a simple and durable workhorse bike for not much cash, it's certainly one to consider. 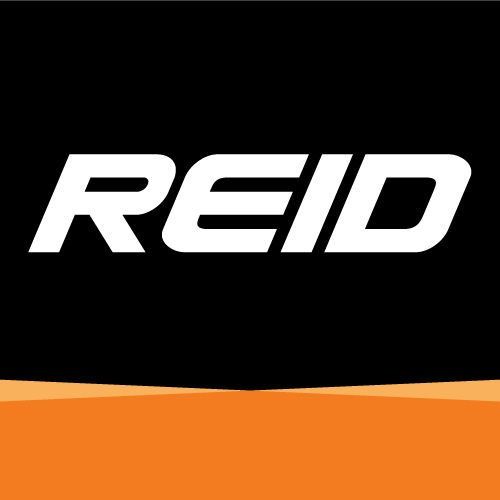 The 2016 Reid Blacktop launched in Australia at the end of September this year, and now it is available in Europe too! Since launching, the Blacktop has been very well received in Australia with buyers commenting about its style, perfect urban riding position and simplicity. So let's take a closer look at some of the features of this stealthy commuter favourite. The frame and fork on this model are all custom designed in house by Reid and are made of heat treated, high grade 7005 series alloy. The frame features impressive smooth welding technology and a stealthy matte and gloss black graphic. The ride position is designed to be sporty, but not racey. Commuters aren't looking to set a stage record in the Tour de France, but want a fast, comfortable ride, with road damping. The Blacktop is designed to tick all of those boxes, with riders commenting on the bike having "the perfect reach and geo". It is also very lightweight with the total weight of the bike coming in at under 11KGs*. Aluminium alloy frame and fork. It was fine, with a comfortable mid position. Not too upright, not too racy. The bike is firm in terms of ride but not uncomfortable. It's nice and stiff, for sure. Yes, the drivetrain with 3-speed hub feels efficient. The bike is fairly quick in the turn which makes it good for moving about in traffic. It's not twitchy and it's fine at speed. Tyres are good, saddle and grips okay. Did you enjoy riding the bike? Yes, it's a well-made and effective city bike that's good value. Looks a decent bike but when you can get good derailleured 10kg machines for the same or less from the likes of Merlin and Decathlon, is it really good value? Surely it should be £100 cheaper? If you get a rear puncture how long does it take to get the wheel off, repair it, and get it back on again ? It will likely be discounted to £299 by the end of the year. It's only just been released. I think it makes sense as a leave-outside near zero maintenance commuter hack. Be easiest to repair it without removing the wheel. If you don't have many hills, this bike is a great commuter. @philipthelam REID are now eight years old, and sold across 15 different countries through over 350 retailers. We’re Australian owned, but all international sales operations are handled from our UK office. In Australia, we retail through our own store network removing each distribution layer, Australian customers are also fortunate that the GST (VAT) is only 10% enabling us to provide Australian consumers fantastic value. Higher pricing in the EU is due to distributor and IBD margins plus, higher production costs, as we cannot export bikes from China to the EU due to high taxes and anti-dumping duties. As with all major brands, our bikes for the EU are also made in different factories, increasing our overall production costs. I hope this helps clarify any differences you’ve experienced, and thank you for your feedback about our product quality improvements.